It was so nice to catch up with all our favourite people at the party we attended during my previous letter. I am very much looking forward to being able to visit again soon! Firstly, congratulation is in order! You have now successfully visited three of the most important districts in your town, the Work, Entertainment, and Residential districts! If reading this fills you with bafflement, then I have infused the above words with magical powers allowing only the best mayors of towns to touch. If you are such a mayor, touch the above words and the letters I previously sent will appear in front of you! Amazing I know! Today we are going back to your work building to see if we can continue on the great efforts we did there previously. Your working life is very important to understand fully and have control over. Most of us spend a massive percentage of our lives at work and so paying it the right amount of attention now should result in beautiful outcomes further down the road. For those lucky few who have never had to work yet, in all lines of work you are exchanging something you own for something someone else has. This means you are using your time, energy and intellect to provide value for someone else and being paid the currency of your country to do so. Kevin bravely trusts that the water slide makers finished this ride correctly and is risking life and limb testing it in exchange for cold hard cash! Note, I wouldn’t include any volunteering work that you do in this category. This building is specifically designed to hold the work you do that earns you the money that allows you to live. You may not receive any money for this but you definitely have the admiration of me and everyone at the Rose-Blancs town management offices. Please take this warm glowy feeling to your nearest towns branch and bank it with your local accounts manager. So returning back into the building that houses your work, we need to start digging into what you do specifically to earn your dosh. This building will surely have many floors which in turn will be filled with rooms offices and spaces. Your job may have many different sides to it, each section will need its own floor. The more floors you split your job into, the more scope you will be able to use to look at your performance and strive for greatness. One such floor that I would recommend having is for the work colleagues you share your days with. Each colleague will need to be given some space on this floor so you can deposit your thoughts, feelings and shared pursuits there. 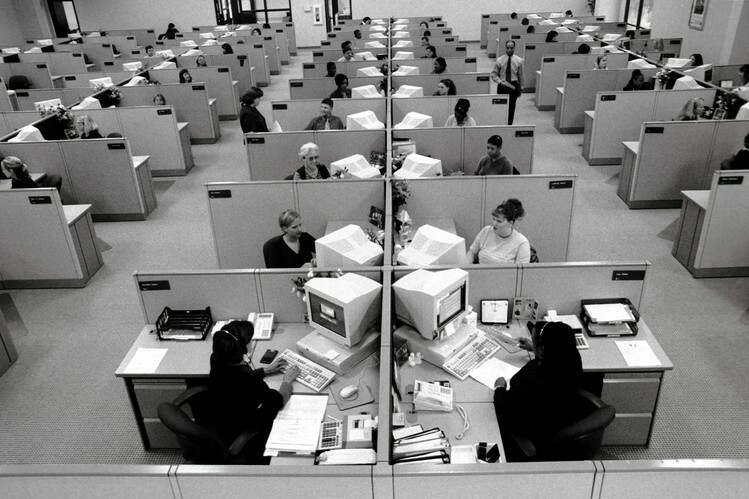 Your line manager may have the corner office, your direct team may have some nice spacious rooms and everyone else may be squashed into cramped cubicles. Each of these spaces contains the thoughts, feelings and working relationships you have with each of these colleagues. What do these areas look like? Well, if your relationships are positive and include regular nights out and team bonding exercises then they may be bright, tidy and fresh. For those you do not favour, their rooms may feel as if they have been taken straight out of a horror movie. Drone number 362, please make your way to your manager’s office for a ritualistic beratement, possible firing and more paperwork to file. Doing the above will create a mapped framework that will allow us to start looking at your strengths and weaknesses and help form action plans to help you become the very best. It’s going to be so funny to see all your work colleagues after this starts working… they are going to think you’ve gained superpowers or something! I am very excited about all the plans and schemes we will be making soon. For now, however, it has been snowing outside Rose-Blancs and so I am going to make a snow angel. Previous Don’t put people in boxes… unless they are your friends and family of course! Next The three questions you may not want to ask… Oh yeah, and organised fun!